Hi guys! 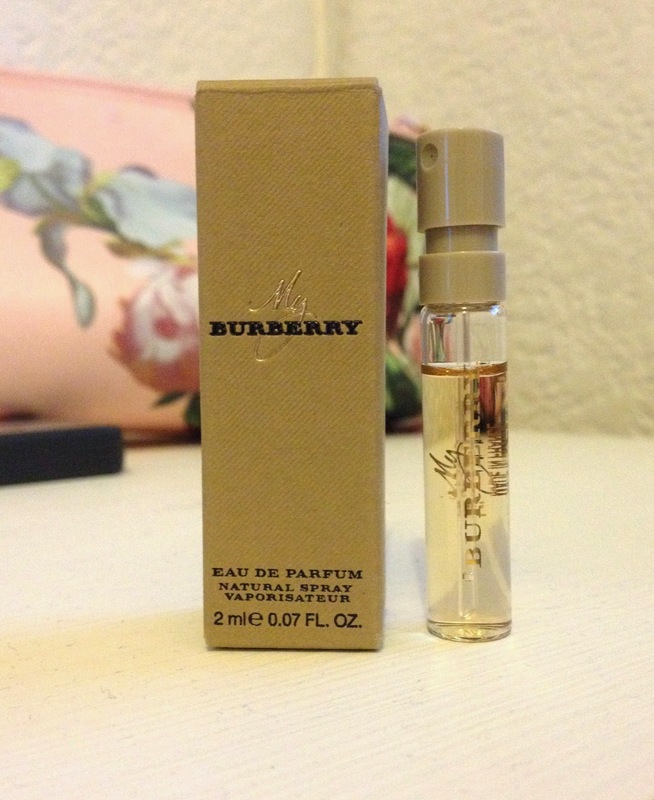 Recently I was given a sample of the new perfume by Burberry named, 'My Burberry', whilst I was wandering through debehams. As always, I thought I would share my opinons on it. (As a side note; I have worn this throughout my day so that I could get a proper sense of the scent). As you can see, the sample is only small however I still decided to give it a go. My first initial thoughts when the man sprayed it in the store was that it was quite a fresh yet feminine scent and I still agree with it. The scent is quite floral when you first spray it, but I found that once it developed the scent turned warmer and I could smell a hint of vanilla amongst the floral. Normally I don't like floral scents and I stick to more citrus fragrences, but something about this appeals to me and I love it. My mam also got a sample of this and she loves it, meaning that I think this is a wearable fragrance for a variety of ages. I also really love the packaging for this, I love the brown textured box with the black and gold writing as I think it looks so elegant yet modern. It's also meant to be inspired by the iconic Burberry trench coat, which I love the idea of as it's keeping the Burberry roots. The liquid itself appears a golden shade, which I guess is part of a theme with the gold writing on the packaging. All in all I think this is a really nice, grown up yet still feminine scent and I am thinking of purchasing it for my mam for Christmas (that way I can borrow some). In Debenhams it is priced between £45-£90 depending on what sized bottle you purchase. great post:) this smelled really nice from what my blocked nose could pick up haha!